From the perspective of addressing the competitive issues facing the industry, I think last week’s conference will go down as one of the best yet. There were two themes that featured prominently for most of the folks that I had a chance to talk to: Credit Union Industry Disruption and Predictive Analytics (The FICO Score is Dead). To adequately cover both of these themes, I have created a two part series. This first part will focus on industry disruption. Look at Kodak. They actually invented the first digital camera but failed to successfully commercialize it because of the fear that it would cannibalize their film business. They failed to embrace and market the digital camera concept while others did and this innovation was broadly adopted by the masses. Kodak eventually declared bankruptcy. A major theme of Lass’s presentation was “Big Bang Disruption”, a term used to describe how quickly new, nimble competitors can enter a market and within two to three years, completely disrupt and transform an industry. He gave an example of the TomTom GPS navigation device which was popular when GPS became available to consumers and sold for around $1,200. Once smart phones entered the market, TomTom was completely replaced by navigation applications (e.g. - Google) that could be downloaded and installed in minutes at no cost and which updated themselves without the need to download maps. According to Lass, Big Bang Disruptors like Google Maps quickly swooped into the market providing superior functionality at a much lower price point. Another example, which is happening today, is the entry of a new breed of car for hire companies like UBER and LYFT into the taxi cab industry. One significant impact of this disruption is the dramatic decrease in the price of taxi medallions (http://en.wikipedia.org/wiki/Taxicabs_of_New_York_City) which have dropped more than 50% since UBER entered the New York City market. In relating this to the credit union industry, John cited several disruptive trends which included Lending Clubs, mobile banking applications, and changes in payments technology. John Best, BIG Consulting (www.big-cu.com) also presented on the topic of industry disruption and talked about four areas in financial services that will be impacted by technology: (1) Payments – eWallets and tokenization (2) Loans – Lending Clubs (3) Security – Facial recognition (4) Account Servicing – the emergence of the video call center. He stressed the importance of industry collaboration, stressing that there is not enough time or resources for credit unions to tackle the disruption challenge on their own. The only way they can win is by finding ways to collaborate using vehicles likes CUSOs. The presentations delivered by Mr. Lass and Mr. Best were both enlightening and thought provoking. In the last 10 years we have seen the disappearance of Borders, Blockbuster, travel agencies, and the corresponding elimination of tens of thousands of jobs. The credit union industry is heading into the eye of this storm as Retail Financial Services has hit the radar and “Fin-Tech” is the new buzzword for the next hot investment area for private equity firms and other well-heeled investors. 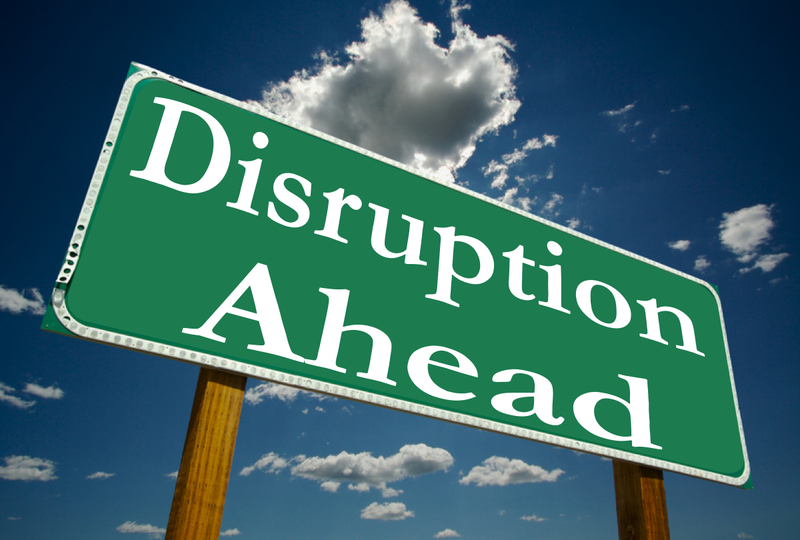 “Part 2” of this blog will address how the credit union industry can respond to disruption and master big data and predictive analytics. Don’t miss out, subscribe now.